Where, other than a bank, do you find currency stacked in every locker, drawer, cupboard and shelf? You find them in a numismatist’s home. Every shelf and drawer in Basant Kumar Rathi’s sprawling apartment on Sarat Bose Road, Kolkata, jingles with currency. But unlike the currency in a bank, none of the currency in Basant Rathi’s collection is ‘current’ or in circulation. They are either obsolete or defective or commemorative coins printed on special occasions. Coins, say historians, are the best repositories of the bygone days as they have over the years helped frame Indian history. When a ruler annexed a throne, there were two things that he did: utter the Khudbah and mint coins. Coins served to stamp his authority on the kingdom. Coins are, in fact, considered more authentic evidence than eulogies by court writers. Basant Rathi’s first encounter with coin collection was in 1974, when he was a lad of 14. In the process of helping his relative to organize and label his collection of coins, Rathi developed a keen interest in coins. Soon he started his own collection of bank notes and coins. He approached money changers for old currency notes and collected some new notes from his friends and relatives. His collection started growing slowly but steadily. He started reading up and enhanced his knowledge of coins and currency. He familiarized himself with the encrypted information on the two faces of the coins. 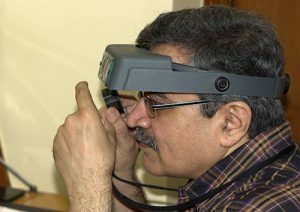 He started developing his network with other collectors and soon became a patron of the Calcutta Numismatic Society. Here he got an opportunity to see the collection of his peers and exchange coins with them. Today Basant Rathi has 50 albums full of coins, though his entire collection can fill a thousand albums and more. The location of every single coin is embedded in his memory. If you ask him for a particular coin, it will take him hardly 15 seconds to locate it and bring it out for you. The oldest coin in his collection is a punch mark coin of the Gupta Period. It dates back to 5th Century BC. His latest collection is a Rs. 100 Yoga coin minted exclusively for colllectors by the Govt. of India. Rathi bought the set of Rs. 100/- and Rs. 10/- Yoga coin for a premium price of Rs. 3000/-. Even though there are coins of ancient India as well as medieval India in Rathi’s collection, he specializes in coins of British India, specifically from the year 1835, when uniform coinage was introduced by the East India Company. 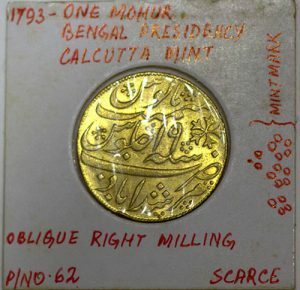 These coins were minted at the third Calcutta Mint, situated on Strand Road. It was also called the Old Silver Mint. Until 1835, the coins issued at this mint continued to be in the name of the Murshidabad Mint. Prior to 1835, Bengal, Bombay and Madras Presidency minted their own coins and had separate currency systems. The first coins of the uniform currency system bore the profile of King William IV. 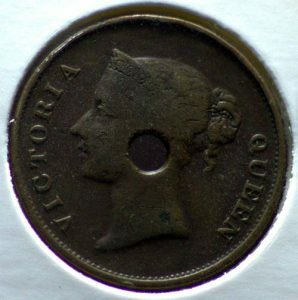 The first coin to bear Queen Victoria’s face was minted in 1840 and the last coins bearing the profile of the Empress were minted in 1901. Arthashastra, written by Chanakya, prime minister to the first Maurya emperor Chandragupta Maurya, mentions silver coins as rūpyarupa, other types of coins including gold coins (Suvarṇarūpa), copper coins (Tāmrarūpa) and lead coins (Sīsarūpa) are also mentioned. The Indian rupee replaced the Danish Indian rupee in 1845, the French Indian rupee in 1954 and the Portuguese Indian escudo in 1961. Following the independence of British India in 1947 and the accession of the princely states to the new Union, the Indian rupee replaced all the currencies of the previously autonomous states, although the Hyderabadi rupee was not demonetised until 1959. In British India, one rupee was equivalent to 16 annas and one anna was equivalent to 4 pice. This system continued upto 1957. Independent India started coining its currency in 1950 and switched to the decimal system in 1957. One rupee became equivalent to 100 paisa. Rathi has in his collection a ‘horse pice’ minted in 1955. The small squarish copper coin has a flying horse on one face and the denomination written on the other face. The 1950 one rupee coin does not bear anybody’s profile. It has the Ashoka Chakra on the obverse and the denomination on the reverse face. Profiles started appearing in Indian currency after Nehru’s death in 1964. Among the tens of thousands of coins in Rathi’s collection, the ones he values most are the Andaman Token Coins. In 1861, the Calcutta mint had printed 20,000 one Rupee coins for the Andaman and Nicobar islands. These copper coins were 28 mm in diameter, with a hole in the centre. Designed by L.C Wyon, these coins had the profile of a youthful uncrowned Queen Victoria. In 1866, a fresh set of coins were minted, but this time the queen was wearing the crown. Both these coins were recalled from circulation in 1870. However, about 20 coins of each type remained in circulation. Basant Rathi acquired one of each type in 1983. He is not willing to divulge the amount he had to pay in acquiring these two invaluable coins. All he divulges is that, the value of a coin is determined by its rarity and its condition. For example, a one anna coin dating back to 1950 is more valuable than a one rupee coin of 1950. The reason is that, the one anna coins are scarcer than the one rupee coins. Rathi has all his coins neatly packed in plastic jackets and he has a photographic memory as far as coins are concerned. He does not forget a coin once he sees its face. He can tell a true coin from a counterfeit coin in the blink of an eye and he is quick to spot the smallest defect in a coin or a bank note. This expertise has earned him the position of an expert in the Todywala Auctions, the biggest auctioneers of coins in India. The 100th Todywala Auction was held recently on December 2, 2015. The defects in the process of minting make the coins useless for the common people, but extremely valuable for the numismatist. Some time back, Rathi got a message from an acquaintance, who sent him the picture of a bank note that had only zeros in place of a number and a star preceding the zeros. So it was a ‘star note’ with zeros. Without wasting time Rathi took the train to Meerut and offered to buy the note from his friend. He had to eventually wait for seven days to get the note, in exchange of a handsome payment. Coins were also an indicator of the economy of the times. 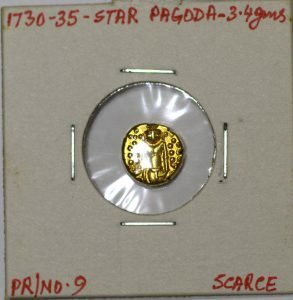 For instance, the impurity in gold coins minted during the rule of King Sashanka was so high that it finally emerged that they were really silver. It shows the kind of stress the economy was under after he got sandwiched between the alliance between Harsha Vardhan and Bhaskar Varman. Similarly, during the reign of King George VI, British economy was under so much strain due to expenditure in World War I that they stopped minting Re 1 coin. The few coins that were minted auctions at over Rs 2 lakh each now. A coin collector can go to any extent to acquire the currency he has set his heart on. It is a magnificent obsession. But why do people develop this obsession? Rathi says, for three reasons – education, investment and relaxation. A lot can be learnt from collecting coins. Studying coins and their backgrounds can lead to interesting discoveries and facts about history, politics, society and culture. Coins can be a great stress buster too. Hobbies are very important for stress relief and to get away from everything and enter one’s own little world, even if temporarily. When one is immersed in coins, all one’s worries recede to the background. Coins are the best investment one can make because the value of an old coin can only go up with time. A lifetime’s obsession can reap rich rewards for several lifetimes.